We Know that we say this every time, about everywhere we’ve traveled, but it’s just really true! Each place has its own beauty and uniqueness. Arizona’s desert’s truly stole our hearts. 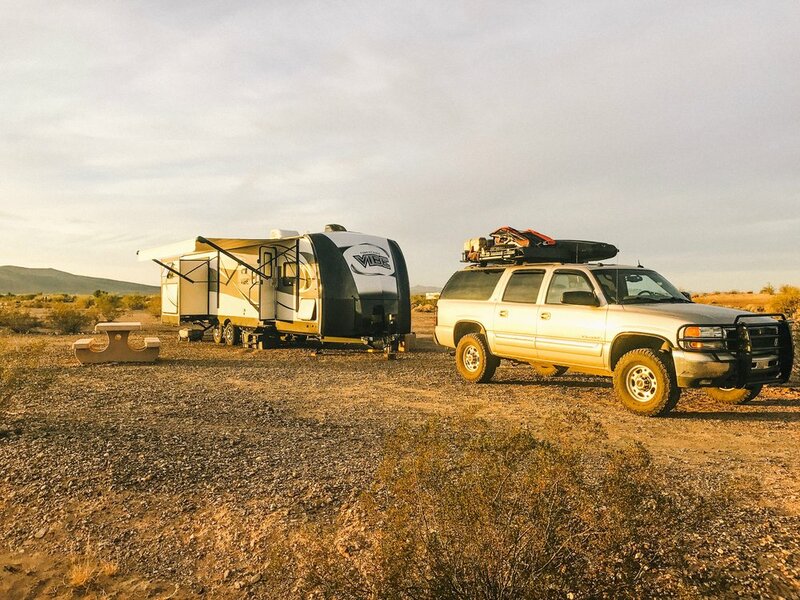 We were nervous about being in Arizona during peak snow bird season, and not being able to find a campsite. 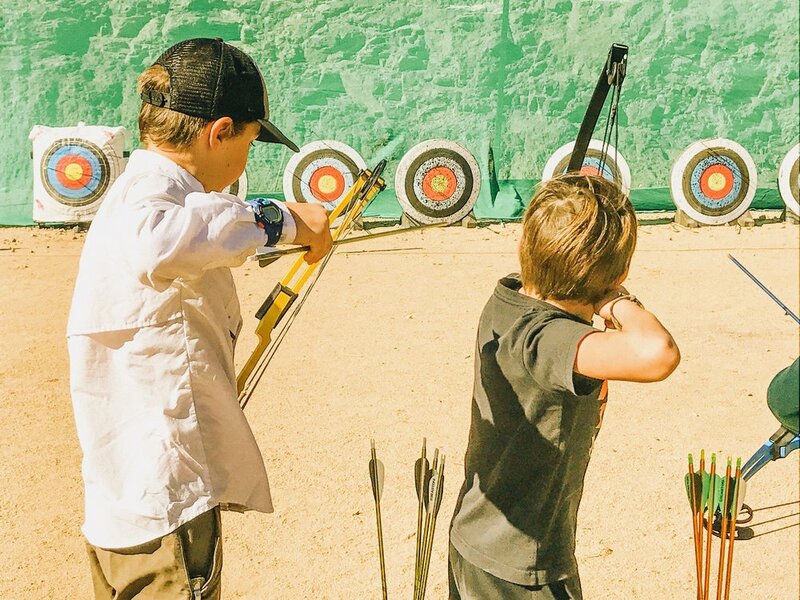 We had called around and found that a lot of the RV Parks were booked up for months, and there were also several that would not allow children. Many of them are geared toward senior citizens. So, we knew we had to be prepared to be flexible and be able to adapt to change. We made sure we got our generator ready to go in case we would not have electricity, and ordered water storage containers so that we could haul in water, in the event we had no hookups. Well, we sure are glad we were prepared, because we could not find a site anywhere with hookups. We dry camped in Arizona’s gorgeous deserts with no water or electricity for 2 months! We can’t even believe we are saying this! We really up until this point had done short stints of dry camping, but nothing this long. We honestly were worried about it at first, but it turned out to be one of our most memorable trips. We ran the generator to power the refrigerator and charge our electronics for a couple of hours during the day. It was so amazing, because when the sun went down, so did we. It gave us lots of time to chill around a campfire and just truly enjoy each other under the beautiful desert skies. Never in our lives had we seen such a clear night sky so uninhibited. The Stars! Amazing! We loved having 2 months to really just slow down. Being out in the middle of nowhere, sometimes feels very refreshing. 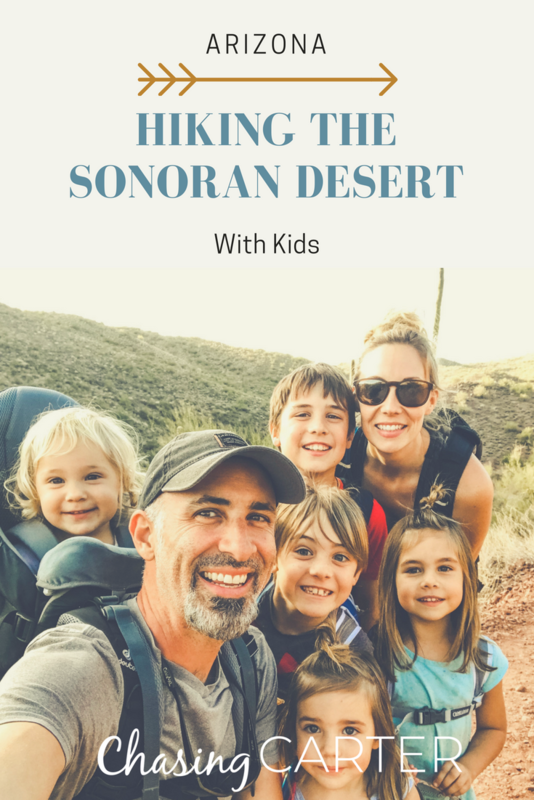 During the day, we rode bikes, hiked, and had so much fun getting to know the desert wildlife and terrain. 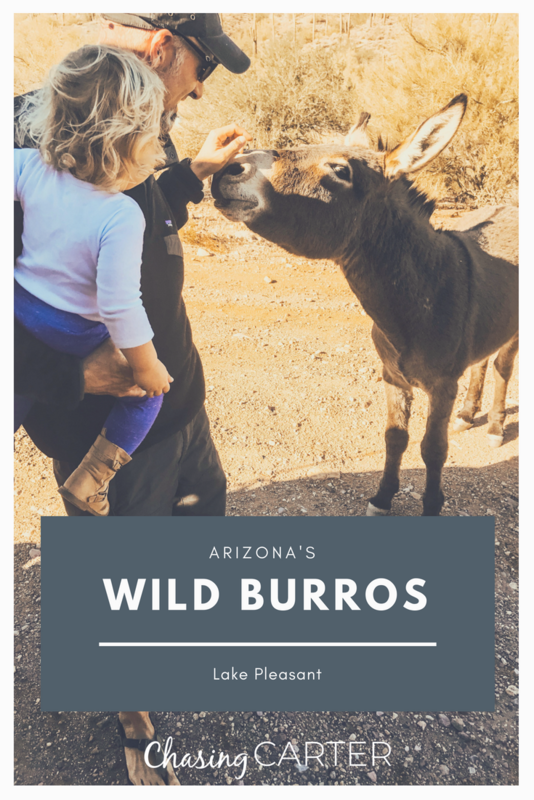 The wild burros were our pets! We really can’t say enough about how this trip has changed our perspective and also shown us that we are capable of doing hard things. Thank you Arizona for the priceless memories.